Raise D Roof Bubble Run 2016 | JustRunLah! 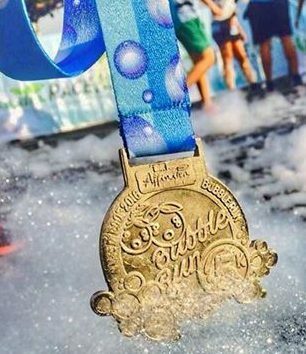 The first ever Raise D Roof Bubble Run by Affinitea Race is set to happen on November 27 in Ayala Center Cebu. This race is for the benefit of Missionaries of Charities of St. Teresa of Calcutta – Home of the Abandon & Malnourish Street Children of Cebu City.